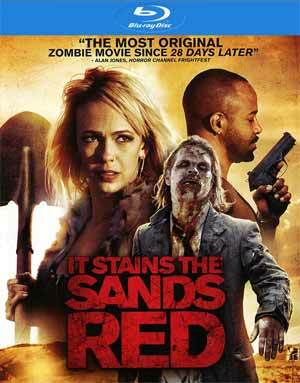 It Stains the Blood Red isn’t a half-bad independent zombie horror flick thanks to an interesting story and solid enough performance by Brittany Allen, though not entirely sure if I’ll revisit this any time soon. 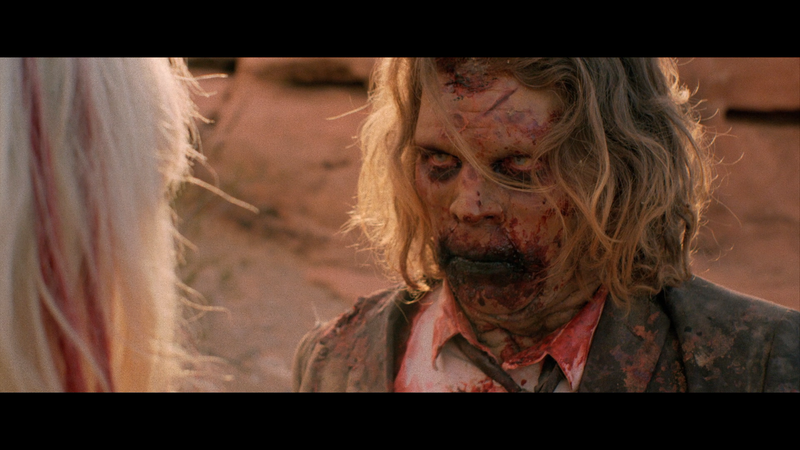 In the throes of a zombie apocalypse, Molly (BRITTANY ALLEN) – a troubled woman from Las Vegas with a dark past – finds herself stranded in the desert with a lone ravenous zombie (JUAN RIEDINGER) on her tail. At first, she’s easily able to outpace her undead pursuer, but things quickly become a nightmare when she realizes the zombie doesn’t need to ever stop and rest. Running low on supplies and beat down by the harsh environment, Molly will have to summon the strength she never knew she had to ultimately face both the zombie and the demons that have chase her all her life. Not a whole lot, but we do get Behind the Scenes (10:38; HD) and On Set (3:37; HD) featurettes and the Trailer (1:58; HD). 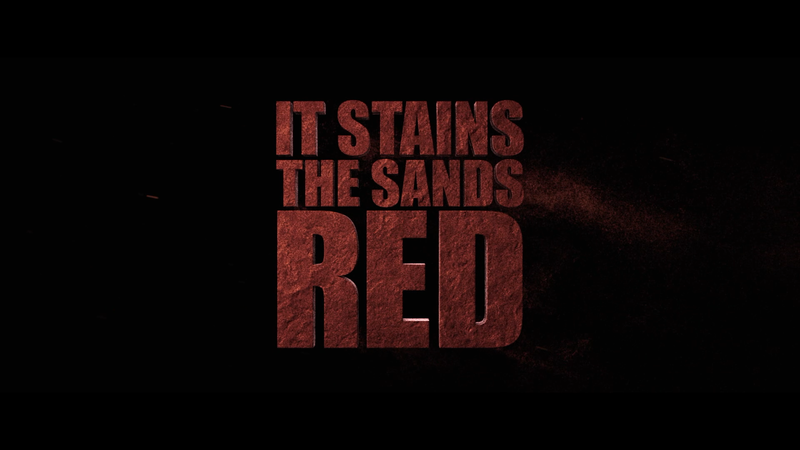 It Stains the Sands Red treks onto Blu-ray presented with a 2.35 widescreen aspect ratio and a 1080p high-definition transfer. Despite taking place in a barren desert, there is a fair amount of colors that shines through and skin tones, particularly that of the living, does appear natural looking. There is some fine grain, beyond the sands of course, that aids in the detail. The movie comes with both a 5.1 and 2.0 DTS-HD Master Audio tracks, the former being the default option. It’s what I’d call a robust track as, save for some gunfire, it’s mostly screams or zombie grunts, paired with the winds and beating down sun that makes up the ambient noises coming through the front and rear channels. Overall, It Stains the Blood Red isn’t a half-bad independent zombie horror flick thanks to an interesting story and solid enough performance by Brittany Allen, though not entirely sure if I’ll revisit this any time soon. The Blu-ray released by Dark Sky has good video, okay audio and so-so special features.